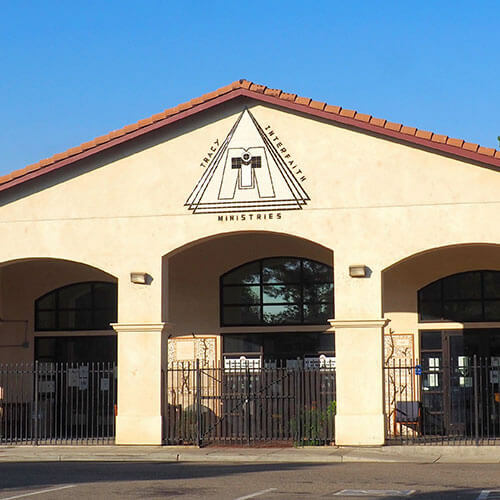 Donate New or Gently Used Goods to Tracy Interfaith Ministries! Donations go directly to families and individuals in need throughout our community. For a full list of what we need most, please check out Our Needs. We accept new, clean and gently used clothing for men, women, infants, and children. Our storage is limited and we really appreciate “in season” garments. We have a year-round need for all types of packaged food and hygiene products. We cannot accept open packages or items that are past their “Use By” date. We have a need for clean and gently used household linens, sleeping bags, small appliances in working condition, pots and pans, utensils, dishes, and glassware. We are open Monday through Friday 10 am – 2 pm and Saturdays from 10 am to 12 pm. to accept donations. Items to donate may be delivered to the back receiving doors when the drive through gates are open. Ring the doorbell and a volunteer with assist you. Thank you so much for donating and helping us serve our community. Please help us: do not leave items outside the gate after hours as they are seldom usable by the time we get them.